Below the soil of South Africa lies an estimated R35trn worth of mineral resources, one of the richest non-oil resource bounties in the world. It is the world’s leading producer of platinum, vanadium, vermiculite, manganese and chromium, and the second largest producer of ilmenite, industrial garnet, palladium, rutile and zirconium. Yet the mining industry is in trouble. The Fraser Institute ranks South Africa as the tenth-worst country in the world in which to own mining interests, out of 91 with significant mining industries. Most mining companies report that regulatory uncertainty, the taxation regime, labour relations and employment law, and political instability are a deterrent to investment in the sector. In 1980, mining contributed 21% to South Africa’s GDP, just behind manufacturing. By 2016, mining accounted for a mere 7% of GDP. Industry employment peaked in 2012, and has declined by 15% since. Between 2013 and 2018, the industry made a net loss. The JSE Mining Index has fallen by more than 50% since its peak in 2008. Despite the hard times, mining still employs nearly 5% of South Africa’s employed workforce, makes a significant direct contribution to GDP, sits on extensive reserves, and remains a world leader in the production of many minerals. The decline of the mining sector might seem expected in a world that is marching towards a services and information economy. There are, however, a great many reasons to be alarmed at the negative trend and sentiment surrounding the industry. As the primary producer of raw materials, it underpins an outsized share of the South African economy. Let’s consider some of the many ways in which the mining industry benefits the country at large. The largest share of value created by the mining industry, 47%, goes directly to employees, and this share has seen a dramatic rise from just 27% as recently as 2012. By contrast, shareholders took home only 6% of the value created in 2018, up from a mere 2% in 2017, and down from 20% in 2012. Industry wages have risen sharply in recent years. Mine workers are now the highest paid industrial workers in the country. Including benefits, overtime and bonuses, entry-level remuneration even in the faltering gold sector can be as high as R150,000 per year. There are 465,000 people directly employed in mining, who in turn support some 4.5m dependants with the R126bn they earn per year. In addition, the industry can claim credit for some 1.4m indirect jobs. If the same worker-to-dependent ratio applies to these jobs, the industry supports, directly or indirectly, almost 20m South Africans. The industry has a strong transformation record, exceeding the requirements of the 2010 Mining Charter by a large margin, including in procurement and staff demographics at all levels of the business. 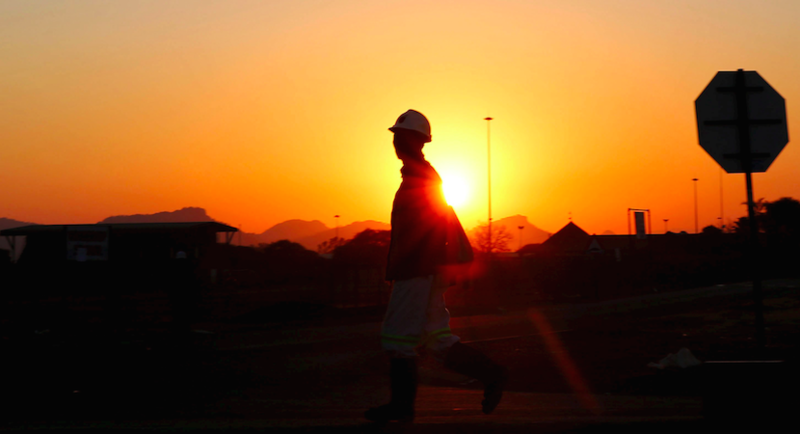 Community investments, such as building houses, schools and clinics, upgrading local infrastructure, and providing child and adult education facilities, accounted for 2% of the mining industry’s expenditure in 2018, or R3.5bn. The mining industry accounts for by far the largest share of South Africa’s exports, at 38% in 2018. Counting the products of minerals beneficiation, that share rises to 60%. Mining is critical to earning foreign exchange to pay for our massive appetite for imports. After employees, the national treasury is the second-largest beneficiary of value created by the mining sector, at 24% in 2018. Although direct company taxes vary with profitability, royalties and employee taxes are a reliable source of income for the state. More than half of the government’s tax revenue goes into social protection services ranging from free and subsidised housing to clean water, electricity and education, all of which benefit from the taxes paid by the mining industry. At R89bn in capital expenditure and R159bn in operational spending, the mining industry nearly rivals government itself as a primary consumer of the country’s goods and services. More than half of the operational spending went to the transport, storage and communication sectors, making up almost a third of those industries’ total revenues. Mining is also a large buyer of petrochemicals, rubber, plastics, metals, machinery and equipment. South Africa has struggled with what experts call “premature de-industrialisation”. Its manufacturing sector is much smaller than those in comparable developing middle-income countries. This weakness has proved to be an important reason for the country’s sluggish economic growth. The manufacturing sector has a symbiotic relationship with mining. It is the biggest user of the products of the mining industry, while the mining industry in turn is a large customer for manufactured products, especially in the construction and engineering sectors. The transport industry is equally reliant on mining. Coal alone accounts for 60% of the railways’ revenue. Truck transport likewise depends heavily upon customers in the mining industry. South Africa’s energy sector is heavily dependent on a thriving mining industry, and will remain so for the foreseeable future, even under the government’s most ambitious plans to phase out coal. Johannesburg is famously built upon gold. It has now diversified, but six of South Africa’s 16 largest towns measured by contribution to GDP are still substantially reliant on the mining industry. A decline in the mining industry will hit these towns hard, as happened with the gold mines upon which the town of Welkom was built. Mining has been critical in developing the country’s skills and technology. The industry is a world leader in many aspects of mining. Seven of the world’s ten deepest mines are in South Africa. The mining industry directly led to the establishment of the Universities of Pretoria and the Witwatersrand, and continues to contribute heavily to higher education. It is also the third-largest spender on research and development in South Africa. Finally, mining has a hand in the rich cornucopia of products that consumers use every day. From tin cans to burglar bars, bicycles to ships, and pharmaceuticals to pacemakers, almost all raw materials not derived from farming, forestry or fishing are produced by the mining industry. The health of the mining industry matters not only to mining investors, managers and workers. It has a disproportionate influence on the well-being of all South Africans. It is a matter of considerable urgency that the present malaise in the mining industry is decisively addressed, through policy measures that radically simplify laws and ease regulations, that evolve empowerment principles to reduce economic drag, that lower the tax burden, and that significantly improve labour flexibility. Mining still matters. South Africa needs the mining industry not just to survive, but to thrive. Ivo Vegter is an independent researcher and writer, and author of Why Mining Still Matters, an occasional report for the Institute of Race Relations.